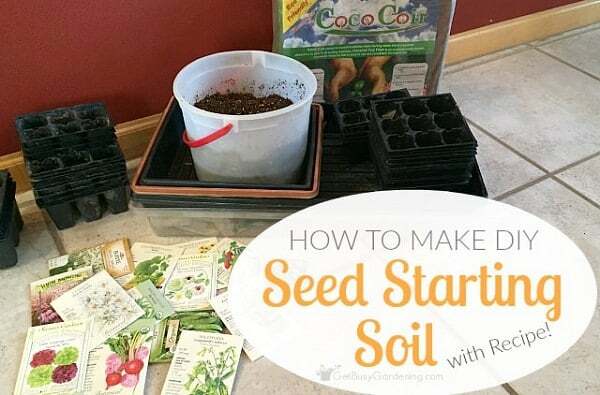 These seed starting hacks and DIYs can save your money and make growing plants from seeds a lot easier. Check out! Ditch your ordinary seed starting tray and use your leftover lemon rinds as planters instead. All you have to do is scrape out the pulp of lemon, fill them with potting soil and then add a couple of seeds you would like to plant. Also, ensure to poke little holes in the base of the peel so as to encourage a little drainage. The best thing about using lemon rinds as planters is that they’re easy to move around and fit in space-constrained spots well. And when the seedling grows to a sizable length, you can place the whole thing in the garden soil where the peels will eventually decompose into the soil and provide further nourishment to the plants. Here’s a help tutorial video and step by step article available! 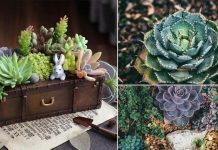 Use paper pulp for making homemade seed starters to recycle your junk mail and worn-out paper craft lying around. 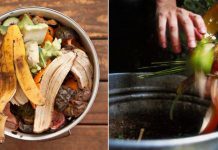 These take little effort and once again, you are using items that are destined to end up in the compost pile. A good DIY project that you can do with your kids. If you want to learn how to do this, click here! Your first instinct after cracking eggs is to throw away the shells, but have you ever wondered about their use in the garden? Well, eggshells have all the features to double up as perfect seed starters. They are organic, perfectly-sized, portable, and biodegradable. So, instead of throwing away old eggshells, re-purpose them for sprouting your seeds and broccoli. Learn how to plant seeds using eggshells here! You can grow hundreds of plants to fill your garden with bright colors and fresh aromas with just a few packets of seeds. And the best part is that you can do so without ever having to shell out money for seed trays or planters. Just pick a few old newspapers and use them as holding pots for starting your seeds. These are biodegradable, eco-friendly. See the tutorial on HGTV. Oh yes, you can even use empty toilet paper rolls to plant seeds. This unique way of starting seeds is simple, effective and a nice activity for kids to do on the weekend. 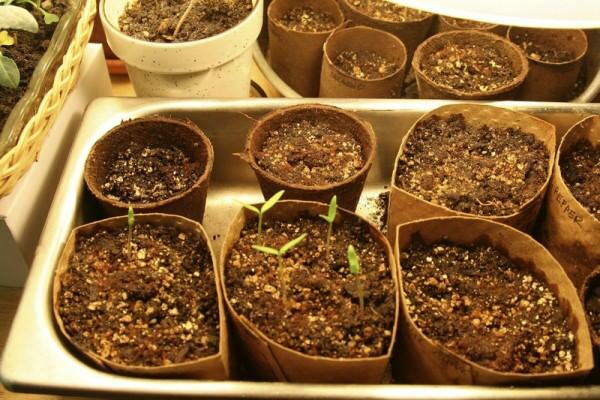 When the seedlings grow big, and you are ready to plant outdoors, pull the cardboard and place the plant in the soil, or just unfurl the bottom and let the cardboard disintegrate on its own. Here’s an excellent post on it, must check out. 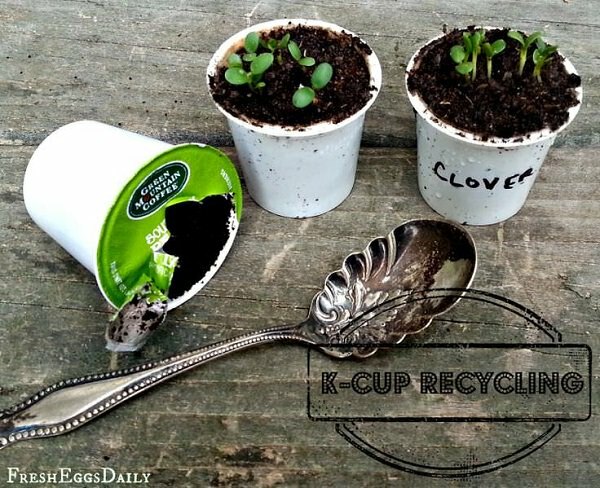 Those little K-Cup coffee containers can act as the perfect first home for seedlings. Just empty out the coffee grounds and use the cups as seed starters. Their peculiar shape allows them to create a well-conditioned environment to support the germination of seeds. See the detailed article here! Seeds need three things to germinate: soil, water, and warmth. When starting seeds, providing the right amount of heat is crucial yet difficult, as the room you use is warm during the day but cool at night. Most plants need a constant soil temperature between 70-80 F (21-26 C) for optimal growth. Using store-bought seed heat mats is a nice idea but they are quite expensive. So how about a homemade heat mat? This step by step DIY post is here to help you. A greenhouse doesn’t have to be a large glass-walled room with warm air and potted plants. In fact, it can be used to define any compact space made of glass or plastic that enables sunlight to enter, while keeping the interiors safe, less windy and environment unchanged. Once you understand this concept, you’ll realize that plastic storage buckets can also be used to serve this purpose. 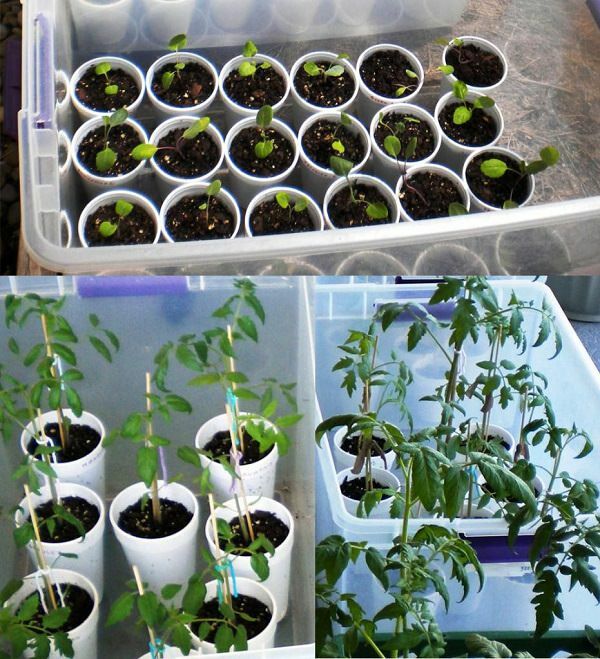 Might not be as effective but they are portable, can hold a good number of seedlings and can be covered with a lid to provide a climate-controlled environment for the seedlings during the delicate first weeks of germination. The more of it in detail is here! Waiting for seeds to adapt to the soil conditions and germinate requires patience, but it can be frustrating sometimes. If you want to avoid this, sprout the seeds indoors before transferring them into the soil. For this purpose, use a plastic tray and moist paper towels. These simple materials offer an inexpensive way to converse space, eliminate wait time and accelerate the rate of germination in the process. Check out the informative post on Grow a Good Life to learn more. If you’re looking for an easy way to space out your seeds when sowing, use seed tape. 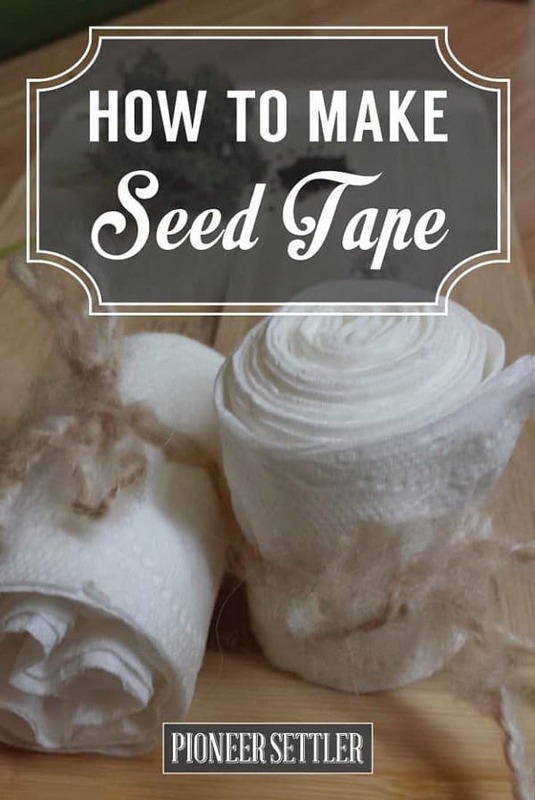 However, you can use store-bought seed tapes but why spend money when you can make them from scratch easily. Click here to see the DIY post! 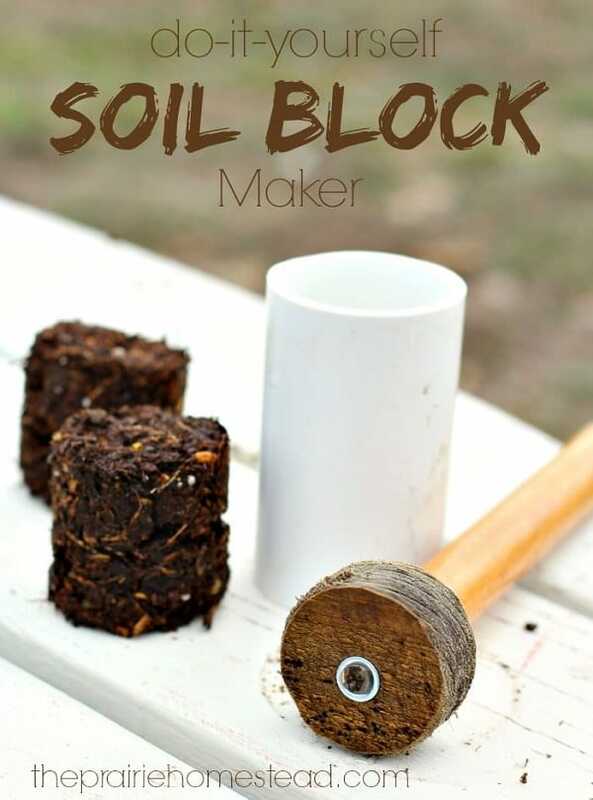 Soil blocking is a viable seed-starting technique that involves compression of soil into self-contained blocks that are easier to manage. You can buy a soil blocker but where’s the fun in that! 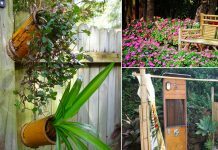 Make an economical homemade version with a PVC pipe segment and an iron rod for packing the soil tightly. Here is a tutorial for it and one more here! Brilliant idea, using the empty K cups.